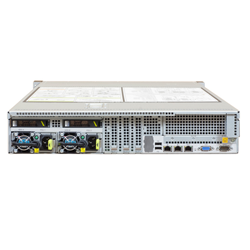 Meet network demands now and in the future with Huawei’s compact, cost-efficient, easy-to-manage RH2288H V2 two-socket rack server. 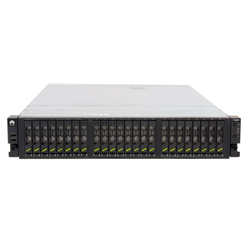 Two-socket, 2U rack server supports two Intel® Xeon® E5-2600/E5-2600V2 series processors. Designed for Internet, Big Data, cloud computing, High-Performance Computing (HPC), telecom services, and mission-critical applications. Industry-leading RAID technologies and flexible storage ensure future scalability. Dynamic Energy Management Technology (DEMT), power capping, and other features cut energy consumption. Black box function and independent BMC module Baseboard Management Controller (BMC) simplify management. Meet today’s demands and be ready for the future with Huawei’s flexible, cost-efficient, easy-to-manage RH2288H V2 rack server. 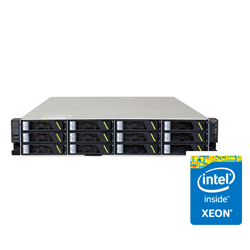 High performance supported by two Intel® Xeon® E5-2600/E5-2600 v2 series processors with up to 12 cores and 8 GT/s QPI links, 24 DDR4 DIMMs, and optional Huawei high-performance PCIe SSDs and GPUs. Dynamic Energy Management Technology (DEMT), power capping, and high-voltage DC power supplies save energy consumption, while PID controls heat dissipation. Black box function and independent Baseboard Management Controller (BMC) simplify management and implement SOL, remote KVM, and remote server startup and shutdown. 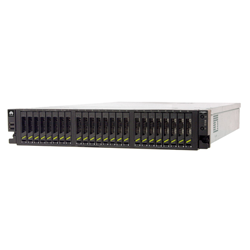 Industry-leading RAID technologies and flexible storage expansion from 8 to 26 hard disks enhance scalability.